‘Dark Thoughts’ Book Clutch & Mum’s Coat. Vintage Cat Tee & Fishnet. 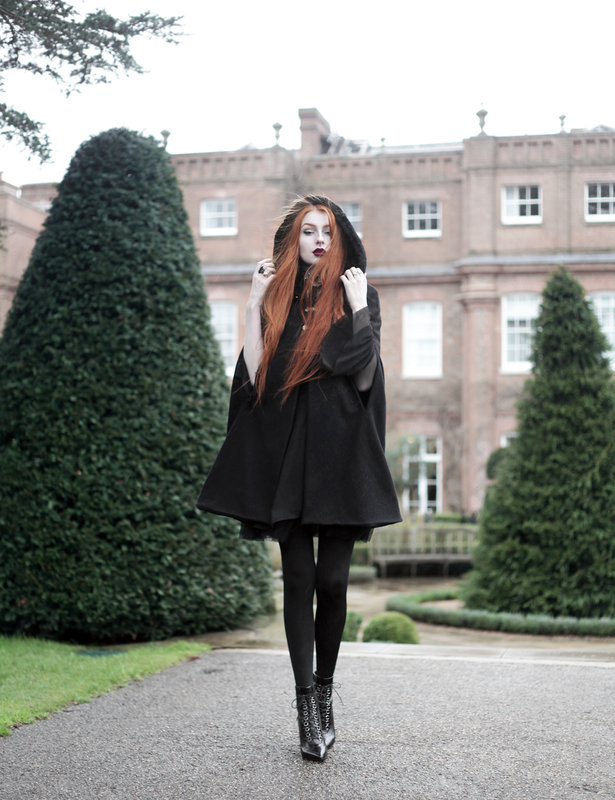 Stormy Weather & A Beautiful Cape. Slouchy Knits & Lace Ups.